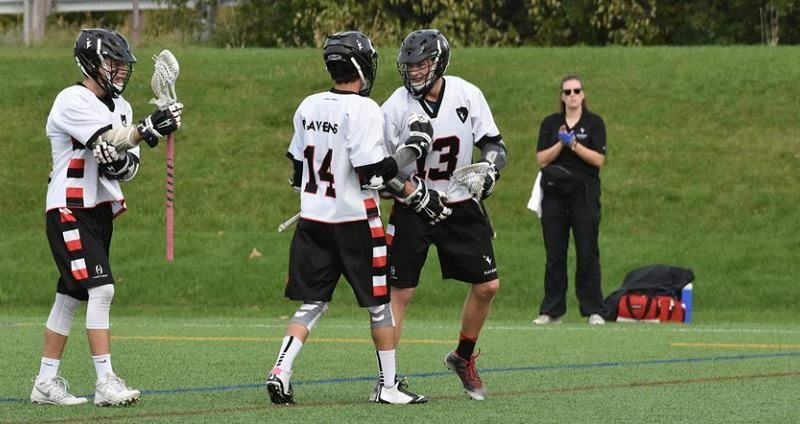 Ravens Lacrosse has a long history at Carleton University. The Carleton University Ravens Lacrosse Club was formed in 1986 to play in the first Ontario University Field Lacrosse Association spring tournament at McMaster University in Hamilton, Ontario. The Ravens now compete in the Canadian University Field Lacrosse Association (CUFLA). CUFLA is currently the TOP field lacrosse league in Canada, and has many opportunities for young players. Playing at Carleton offers our student-athletes an opportunity to receive top quality education while continuing to play elite level lacrosse. CUFLA continues to attract more top-quality players every season, including NLL players and NCAA Div-1 transfers. While winning is important to every competitive athlete, we place a priority on the development of the student as a whole, and not just as a lacrosse player. We are committed to fostering a sense of discipline and dedication both on the field and in the classroom. We take pride in seeing our players develop and excel on the field and succeed in their academic pursuits, and there has been a great heritage of successful lacrosse players at Carleton. The team offers its student-athletes a complete year of lacrosse; an opportunity to play Canada’s national summer sport from September to April. Our pre-season begins with training camp before classes begin in late August, and our CUFLA season commences the first weekend of September. The team practices 2-3 evenings per week, with games on weekends. We play 10 conference games against other teams in the East division, with an extra playoff game at the end of the season to qualify for the Baggataway Cup Championship. The Baggataway Cup consists of the top 6 teams in the league, playing cross-divisional elimination games in a weekend tournament until a National champion is crowned. The Club then organizes a year-end banquet, where we recognize the outstanding players on the team. In the off-season, we organize team workouts and practices in the Fieldhouse. One of the biggest challenges we face as a competitive club team at Carleton University is funding. As a competitive club, only 10% of our yearly operating budget is funded by the school, and with an operating budget of $35,000+, the remainder has to made up through team fees from the players. We operate on a minimal budget to ease the burden on players as much as possible, but team fees are now reaching close to $1000 per player. The student athletes playing for Carleton Lacrosse have made the commitment to being a competitive athlete, on top of being a full-time student. We are continuously striving to ensure that being a member of this team is financially manageable, by easing the financial burden and barriers of access for our Ravens athletes. Any amount of money that you wish to donate to the team goes entirely to reducing the individual player fees and is much appreciated! All donations go towards minimizing the direct cost and adding to the experience of playing lacrosse for our student athletes. If you have any questions about the team, how you can get involved, or other sponsorship opportunities, please send us an email at carletonlacrosse@gmail.com.